Here it is! My very first Block a Day tute. In case you're worried, NO, it's not a different block each day! If you choose to play along, we'll be making one block each day from March 20 through June 20., that's 90 blocks in all. Notice there are three blocks in the photo? 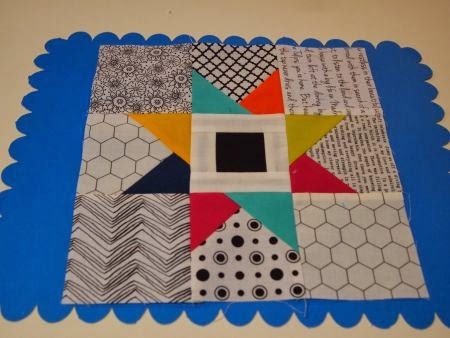 Yes, you get to choose which style of "Star of Bethlehem" block you make. I made up the block in two "scrappy" variations and one "controlled" version. This is a very old block pattern. The earliest reference I could find was from the Kansas City Star newspaper, c. 1937. The tutorial begins with the scrappy variation on the far right. 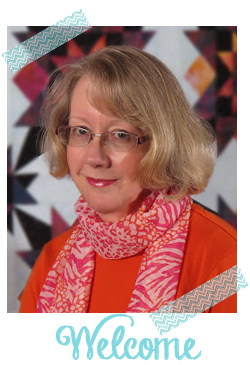 It's made with 30s reproduction fabrics in honor of Karen Snyder, founder of the Quilt Block a Day. I visited her shop in Washington in 1997 and was so taken with all the 30s prints, I bought . . . well, a lot. 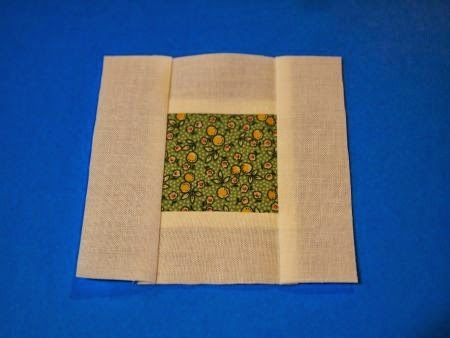 This is a good version to start with, because it has a built-in quarter-inch seam check. 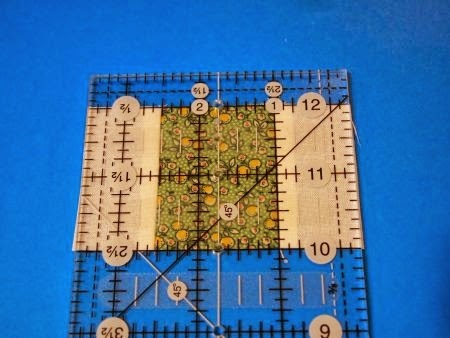 (2) center background rectangles, 1.25" X 2"
(2) center background rectangles, 1.25" X 3.5"
Begin by sewing the center piece. 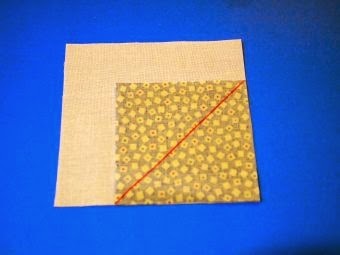 Sew a 1.25" X 2" piece of background fabric to either side of the center 2" square. Measure to ensure it is now 2" X 3.5". Then add a 1.25" X 3.5" background rectangle to the top and bottom of the center square. 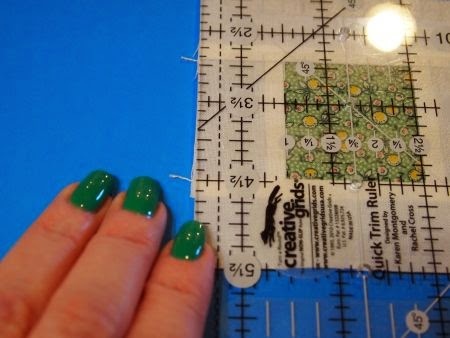 Measure again -- it's OK if it is one or two threads too big, just square it up to a perfect 3.5" square. But if it's too small, adjust your seam allowance. 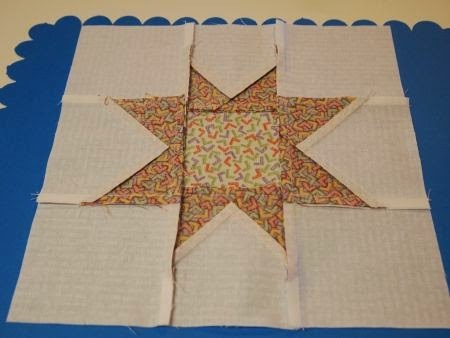 Next, make four "star point" squares. 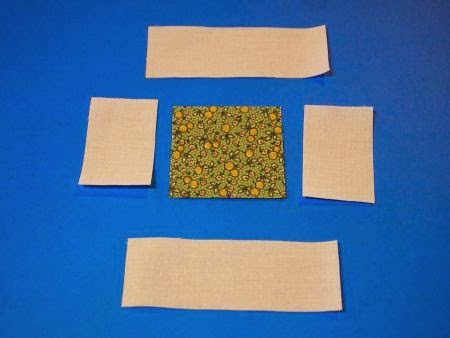 You will need four 3.5" background squares and eight 2.5" "star point" squares. Draw a line diagonally across the wrong side of each "star point" square. Place the star point square on top of the background square, aligning two sides so it is exactly in the corner. Stitch along the drawn line. Repeat for the second "star point." 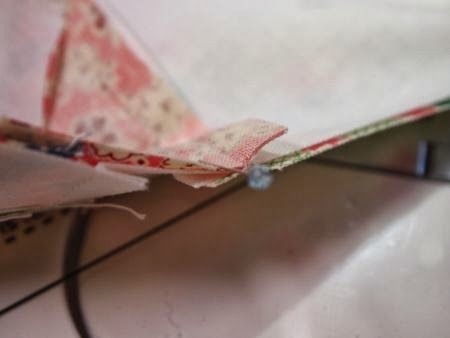 Notice that I have sewn one thread-width to the outside of the drawn line. This allows for the "roll" of the fabric over the seam, so that the print reaches exactly to the cut edge of the background square. 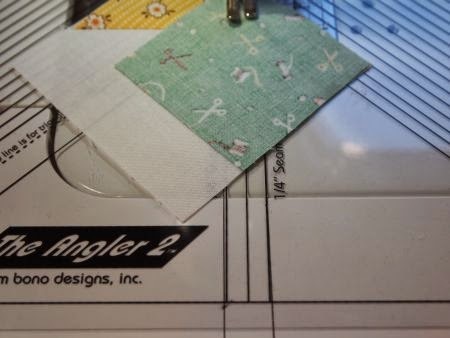 See how the point of the print square is just barely to the left of the center line on the Angler? 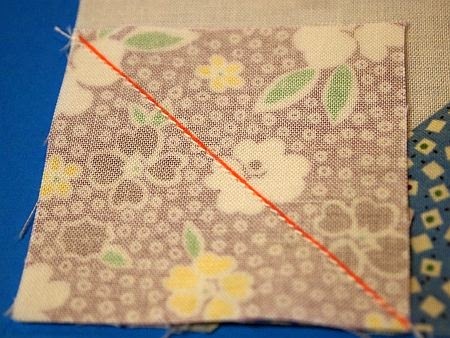 Same as stitching one thread-width to the outside of the drawn line. Repeat to make four "star point" squares for each block. If you finger-press the seams in opposite directions, the inside corners of your star points will align perfectly! Press the horizontal seams toward the outside of the block, the vertical seams to the inside. 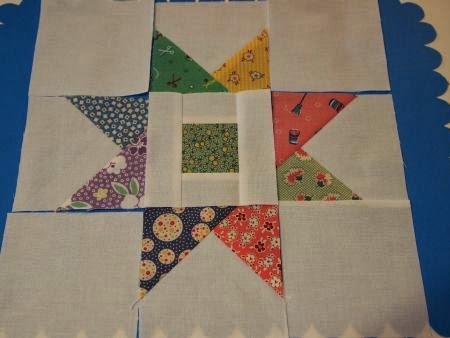 This will make it a lot easier when you sew all your blocks together -- the seams will "nestle" and align much more easily. 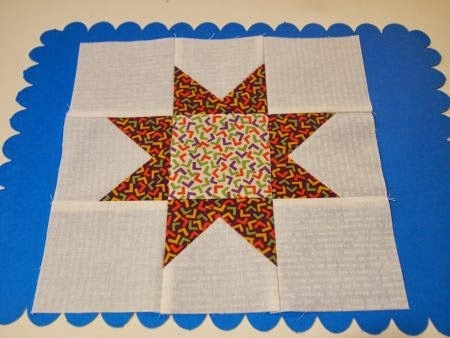 My favorite thing about my version of the Bethlehem Star block is the "floating" points. The colored points don't extend to the very edge of the block, so no worries about cutting off the points! 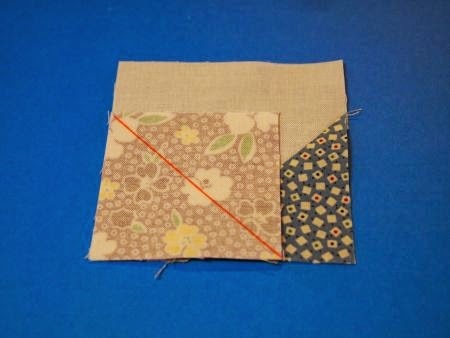 If you want a simpler block, use a single piece of fabric cut to 3.5" square for the center. Or, if you like really scrappy, make the backgrounds all different! This version is inspired by a quilt in a new book from the Kansas City Star, "Classic Modern Quilts." If you like this block, you'll love the book! Get your own copy from the Pickledish Store. The block finishes at 9.5", raw edge to raw edge. Ninety blocks will make a quilt just right for a full-size bed. Check out the Quilt Block a Day page on Facebook. Sometime this summer, I'll host a "B-a-D" quilt parade! Your tutorial makes it look very straightforward. As soon as my visitors have gone home, I shall be getting my machine out and having a try. I like that "Angler" how come we never see any of these cool gadgets in England? It was only about 8 years ago that I was able to buy freezer paper. Love this! Thanks for the great tutorial! 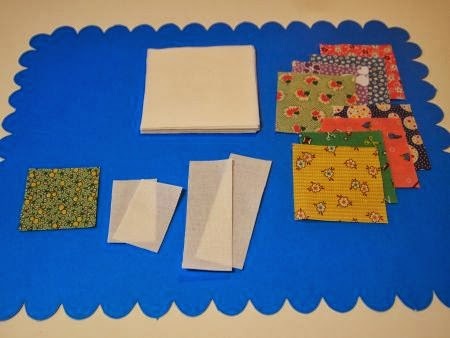 Now I need to get started cutting all those 3.5" and 2.5" squares! Very nice and the green polish is perfect for today too. Have my fabric all picked out, and I have figured out that 1 fq will do all 90 center squares, 10 will do all the 2.5 squares, but how much would you need for the background fabric??? If it is 3 yards, I am doing this all from stash (yay!). Ohmigosh, I'm going mine all from scraps. 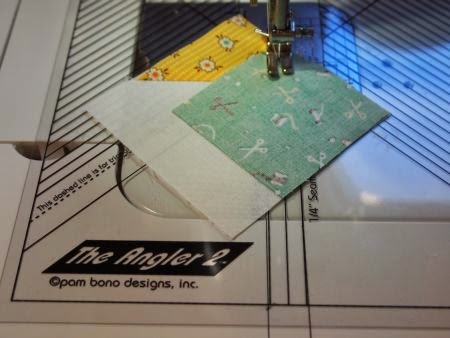 I always cut 3.5" and 2.5" squares -- I'll try to calculate it for you but won't promise it will be accurate! OK, here's how I calculated the amount for the background. Assuming you are using something else for the center square: (8) 3.5" squares for each block X 90 blocks = (720) 3.5" squares. You should be able to get (11) 3.5" squares from a WOF strip, so you'll need 66 strips. (66) strips at 3.5" = 231" or 6.5 yds! Now you know why I make mine from the scrap basket! You are right - sewing one a day is easy - cutting it all might take a bit more effort - but an easy block...love the green polish - well for a short time anyway. Too funny!!! I was cutting out pieces for this same block yesterday for one of my UFO's. I'm excited about this, and have flipped through my stash thinking about it. I don't think I have enough scraps, but I'm going to see Mom, and I know she has plenty!!!! Question? Are you cutting off both the background and the other half of the star point that is hidden under the star point? (hope that makes sense). I have heard some people say to leave the background in case your stitching is off, but of course that adds bulk. Lynn, I usually press the colored point to the outside and make sure it covers all the corners of the square, then cut off the background fabric to reduce bulk. Once I've tested my seam width, I don't need to test it again. Oh lucky morning! I bought the Angler a while ago and as with many things never tried it out. Now I have a reason to try a new tool and make a great block!!! I just found this page--how do I get the previous blocks I've missed? Barbara, the Block a Day challenge was previously hosted at AnnaLenaLand. You can go here, and type "Block a Day" in the search block (upper left on the first page) then scroll down to find the blocks you've missed. 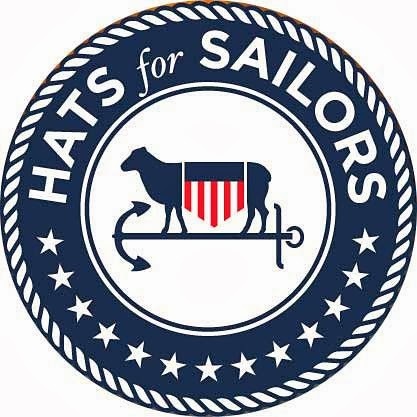 Also, check out the Block a Day Facebook page! I look forward to seeing what everyone is doing with this, but I am going to have to sit it out. My UFOs are still taking my time along with family to the point I get to sew once a week, not once a day! I like all three!! What a great variety!